When Do I Stop Praying for a Miracle? One of the most awe-inspiring things about God is his miracle-working power in our lives. God is so very good to us, and he loves to show up for us by way of miracles. Sometimes, it can be a little confusing to know when to pray for a miracle, and how long we ought to pray for. Hopefully, I can help shed some light for you in this area, as I walk it out myself. One of the things I like to do is a word study of the very thing I want to understand, so I believe that’s the best place to start in this case: let us look at the definition of what a miracle is and then look to the Bible to observe what individuals did in order to see miracles manifest in their own situations. According to the Merriam Webster Dictionary, a miracle is an extraordinary event manifesting divine intervention in human affairs. Because a miracle is a divine intervention, it is something accomplished through the power and will of God. Miracles do not occur through our own power, or in our own will. It’s important to make this distinction up front because it will keep us from becoming disappointed when God doesn’t move on our behalf in the way we are expecting. Why Does God Give Us Miracles? When God leads our lives, he will bring us to circumstances where miracles are needed so that He can receive glory through them. Sometimes, most times, these circumstances will be dire. We will look at a situation and fail to see a way out. It will seem as if we’ve reached the end of our rope. In times like these we must recognize that what happens is entirely in God’s hands. It is God’s desire to receive the glory for the whole of our lives. The good, the bad, and everything in between. There are times whenwe are the answer to our own miracles. There are times when God has already given us the thing that we need to get through the situation we feel is too extreme to overcome. Sometimes we just need God to remind us that the very thing we need in order to see the Lord’s hand move is already with us. In these cases, we truly only need to pray one time. I know that’s hard to believe because many of us have become accustomed to praying over and over again, but sometimes that’s just not necessary. Pray, “Father, show me what to do in this situation. What do I have in my hands that your power can work through?” God loves to partner with us for our own miracle. Pray about the situation one time, then wait for the instruction of the Lord. "...I’ve seen the Lord come through enough times for me to know that He never leaves me or forsakes me." We all have been in situations where we’ve needed the Lord to come in and turn a situation around for us. I’m pretty confident that all of us have cried out for God to “Do, something!” I’ve been there. And let me tell you, it’s the place where my faith in God has been tested to the very brink. When we are in need of a miracle, it’s like this moment where we get to see God show up for us in an amazing way. I used to worry when I reached a point where I was in need of a miracle, but I’ve seen the Lord come through enough times for me to know that He never leaves me or forsakes me. He always makes a way for me to either get through, around, or over a situation. In those moments when we are in need of a miracle, the first thing we should do is acknowledge God as Lord over our situation. If we don’t stop to do this, if we panic, if we freak out, we’ll actually forget that God is there in the midst of the situation with us. We’ll forget that He is mighty to save us. We’ll forget that he loves us and wants us to depend on him for our every need. After we recognize God as sovereign, we should pray and invite the Holy Spirit and the wisdom of the Lord into the situation. There are many times when the Lord will give us an idea, a strategy, or an instruction to do something that will lead to our miracle. "The Lord himself will fight for you." A great example of this is when Moses raised his staff over the Red Sea and the sea parted for the Israelites to pass through. Right before that happened, the Israelites, who were on foot, were being pursued by the Egyptians, who approached at full speed on horseback and chariots. Because miracles are divine interventions, we need to allow the space for the divine inspiration of the Lord to come. There will be times when our miracle won’t come through our – or someone else’s – hands, but by way of angelic assistance. This happened to Peter when he was imprisoned by Herod, awaiting public trial and a possible death sentence (Acts 12:7). When Peter was arrested, the church prayed earnestly for him. My friend, there will be times when you and the people around you will need to pray and keep on praying until you see your breakthrough. So, how do you know when to keep on praying vs. when to pray just one time? I believe that knowing the answer to this comes by way of knowing the voice of the Lord. It is God alone who gives us the power to act, or the burden to pray. 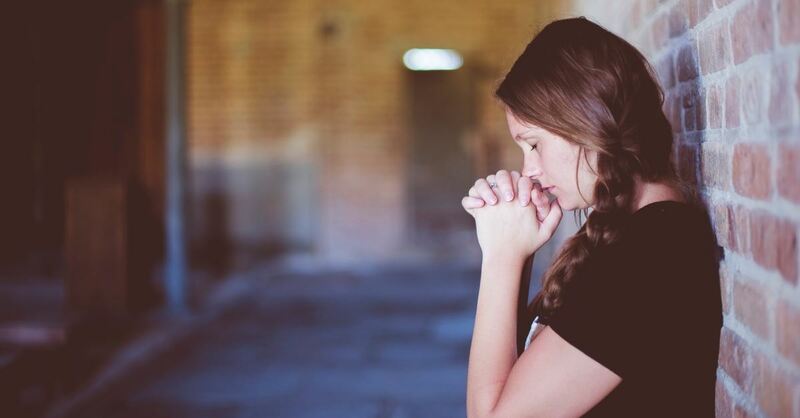 The more sensitive we are to the leading of the Holy Spirit, the better equipped we’ll be to know whether we need to stand in ready position to make a move, or to rest on our knees in a posture of fervent prayer. Miracles Are Meant to Increase Our Faith, Not Sustain It. We should expect miracles from the Lord because He is sovereign and good and will always save his people. However, we shouldn’t look to live our lives off of miracles. Miracles are divine interventions (emphasis on interventions). They are supposed to increase our faith, not sustain it. If we are always looking for the Lord to work a miracle in our lives, perhaps we should reflect on how we view the Father. In Psalm 103, we see that the people of Israel knew the deeds of God, but Moses knew the ways or character of God (Psalm 103:7). The Israelites only wanted God for what he could do for them. And then when the Lord came through for them, they turned away from Him, forgetting what He’d done. Let’s not be like the people of Israel, only desiring the hand of God and the miracles of heaven. Let’s seek after the heart of the Father. I am praying for you and whatever miracle you are believing God for. If it is His will for whatever you are needing to come to pass, I stand in agreement with you for that very thing. Peace and blessings in abundance!